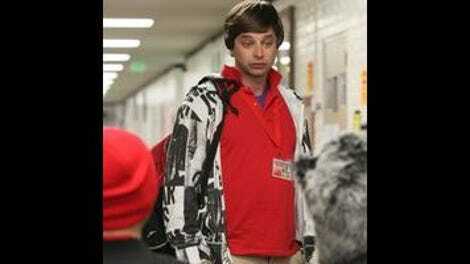 Ever since Kroll Show began, I’ve been waiting for the “Oh Hello” boys to show up. One of the first clips Kroll released to the public was of “Too Much Tuna,” their prank show, and when I saw this episode bore the same title, I just got unreasonably excited. Undoubtedly in my mind, “Too Much Tuna” was the sketch of the night, but I have an unreasonable and overflowing love of Gil Faizon and George St. Geegland. If you haven’t heard Kroll and John Mulaney do the characters before, seek it out (there’s videos online, and their two Comedy Bang Bang appearances are solid gold stuff). But it’s still quite another thing to see them do it on television. There’s nothing particularly special about Faizon and Geegland on the page—they’re just a couple of old, cranky, Manhattan Jews, and the format of “Too Much Tuna” follows that by aping the style and production values of a cheesy Manhattan public access show. But there’s something so wonderfully specific about how these guys behave. They’re not just out of touch. They have one foot out of reality itself. The way Gil mispronounces “Ashton Kutcher’s Punk’d” (“Ashram Kitchen’s Prank’d”) isn’t just doddering and unhip, it’s surreal. The use of Jeffrey Gurian as their first guest is even stranger—Gurian keeps arguing against the very premise of the prank and insists that he’s very happy with his mountain of tuna. My only complaint is that the whole thing is too short, and I’m definitely looking forward to more installments. I guess you can never have too much tuna. Oof. This is the first episode that largely recycles characters we’ve seen before, which is fine for now, although it can quickly become the downfall of any sketch comedy show, particularly one that’s reliant on one actor. This is not a catchphrase-driven show, though—I don’t think things will get as stale as fast as they did on, say, Little Britain. Kroll’s characters can be slotted into a number of different stories (Bobby Bottleservice has already proved very versatile) which will enhance their lifespan significantly. PubLizity returns pretty much exactly along the same lines, though. They’re shilling an equally ridiculous product (yogurt water), the beats of the Bravo reality spoof are still adhered to, and Jenny Slate is still amping up her vacant PR lady voice as much as possible. It’s still cute, but it’s going to get tired faster, so I hope we only have one more installment this year (there are four episodes left this season). The Rich Dicks are a little better. I appreciated this entry far more because it didn’t go to ridiculous plot extremes as quickly as last time. Before, within 30 seconds they were in Mexico mixing it up with drug lords. This time, they just go to the supermarket and… well… they’re dicks to everyone. Things get weird again (Jon Daly fires a gun in the store, gets arrested, and mixes it up with a white supremacist in prison), but it escalates at a better pace and gives us more time with the characters just being hilariously awful. I like all the strange little details like them waking up to the Drive DVD menu or being told no when they ask if there’s a waiting period for white people to buy guns. The only prominent sketch was truly surreal—a spoof of Chinese loan company ads, if those are a thing (are those a thing?). My confusion meant I spent the whole sketch waiting for a twist that never really came—I got that the awful production values, et al., were meant to be mocked, but since I’ve never seen such a thing before, I was mostly transfixed by it. I was laughing at the end, but I’d be intrigued to know where it came from. The Robocop spoof opening the episode was predictable, but still pretty funny.